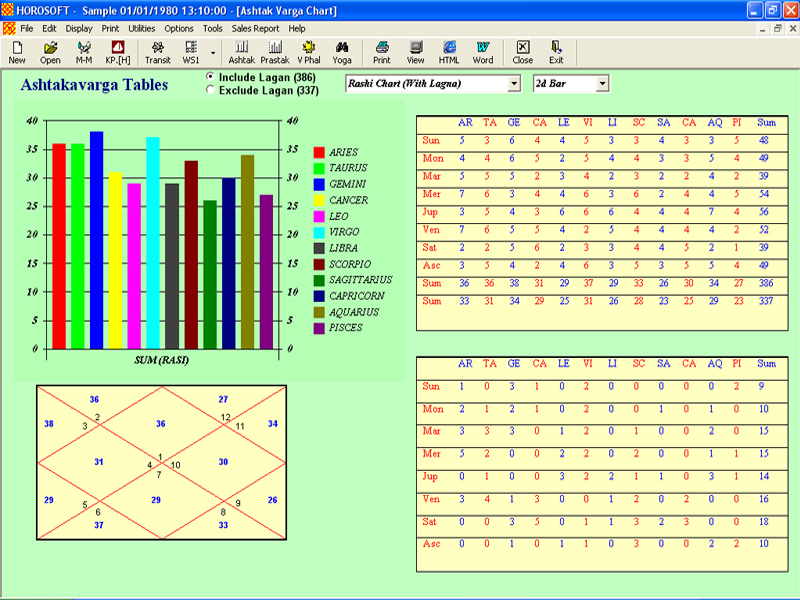 Horosoft Professional astrology software, based on the Hindu system of Indian Vedic astrology is an advanced astrology software that consists of various astrological calculations. 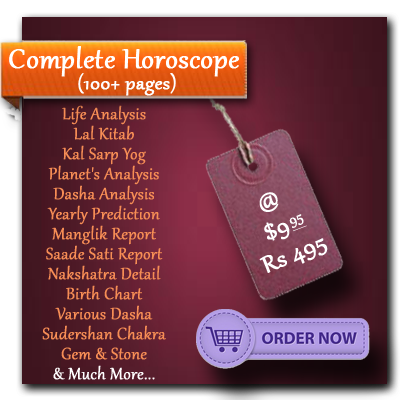 It has K.P.astrology also known as KrishnaMurthy Padhati system, Nadi astrology, Lal Kitab astrology (Famous for its remedies) Etc. 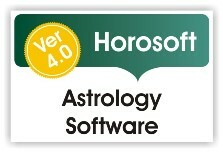 It also performs the Match-Making of a couple. 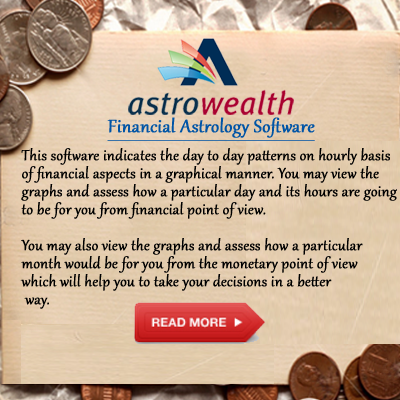 For detailed description, you can go through the features mentioned. 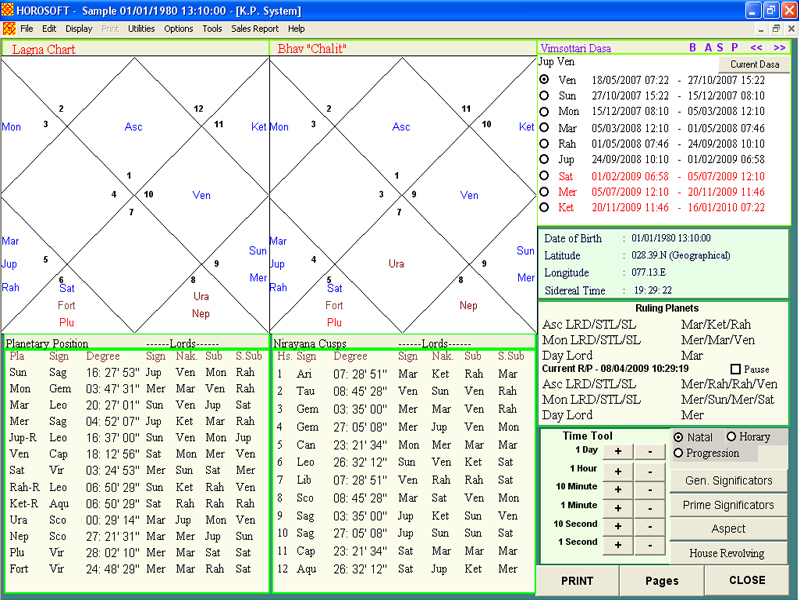 TRUE and MEANposition of rahu can be selected. 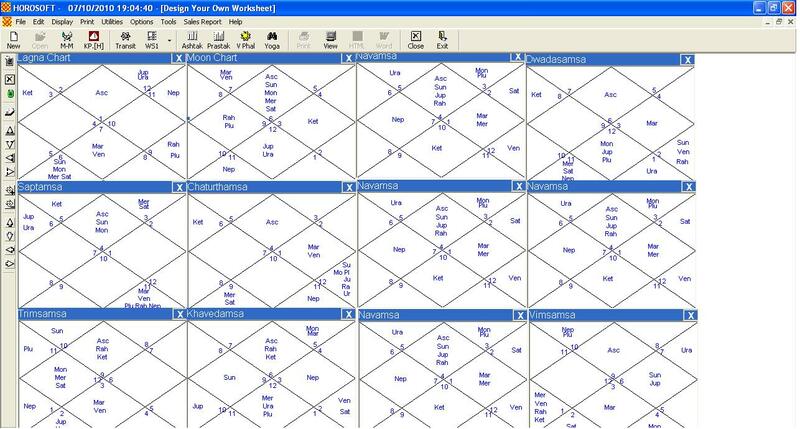 Now print horoscopes on 9PIN DMP through Windows and not through DOS. 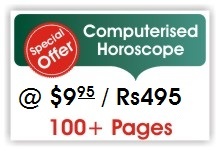 This option helps you to print horoscopes 4 times faster than the normal printing. 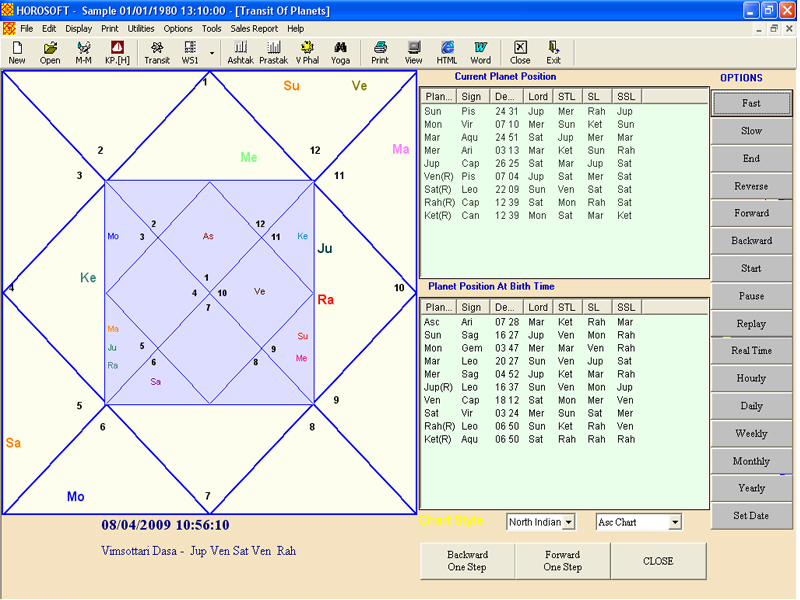 You can nowVIEW / PRINT THE ENTIRE HOROSCOPE IN COMPLETE COLO MODE. 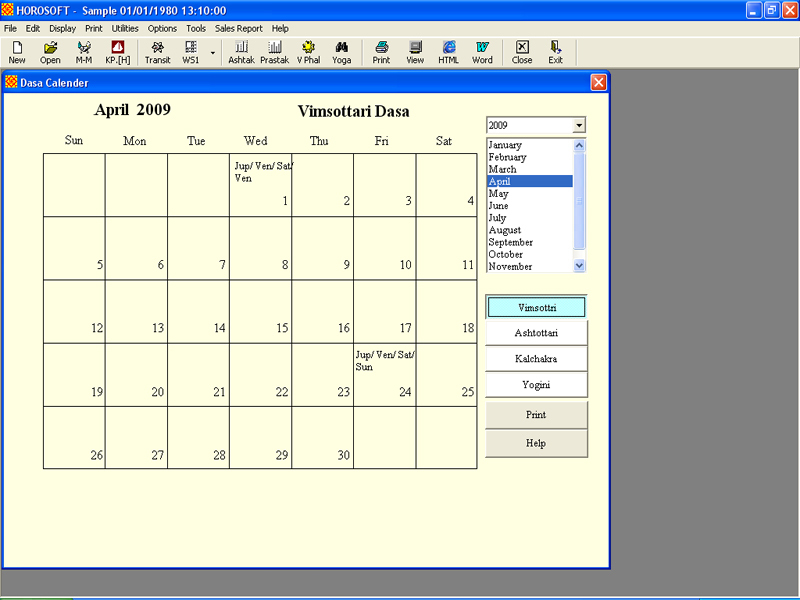 You also have the option to change the colors according to your choice. 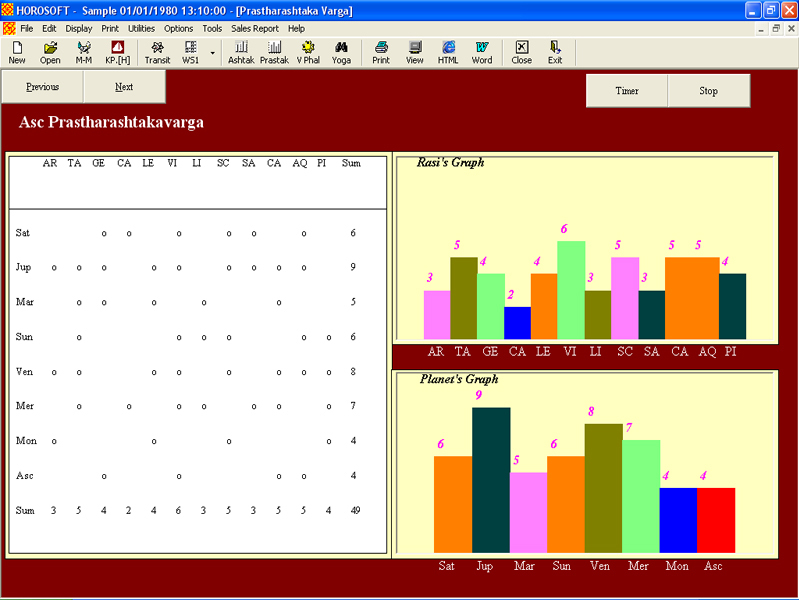 Here you can view 3 charts simultaneously. 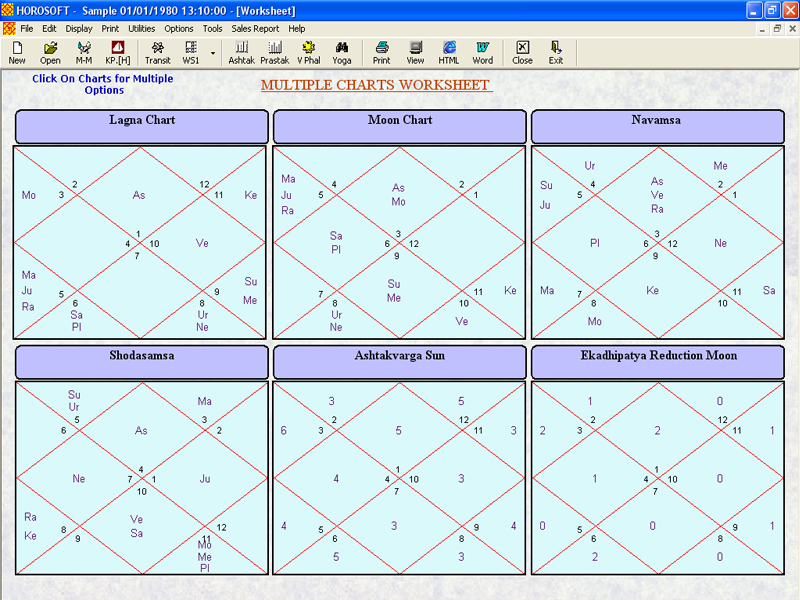 You can change the color of the Planets/Degrees/Lines/Houses/Background of chart. 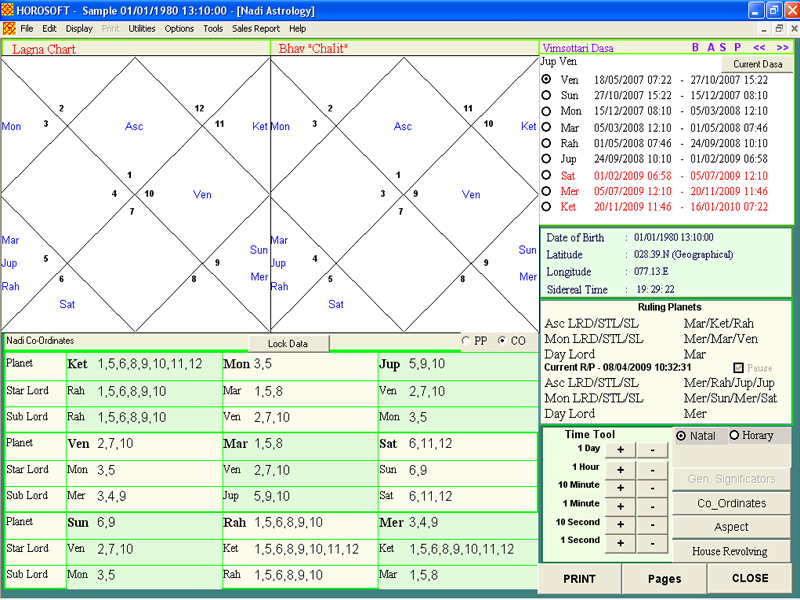 You can also view the Details/Properties/Predictions of houses & planets here. 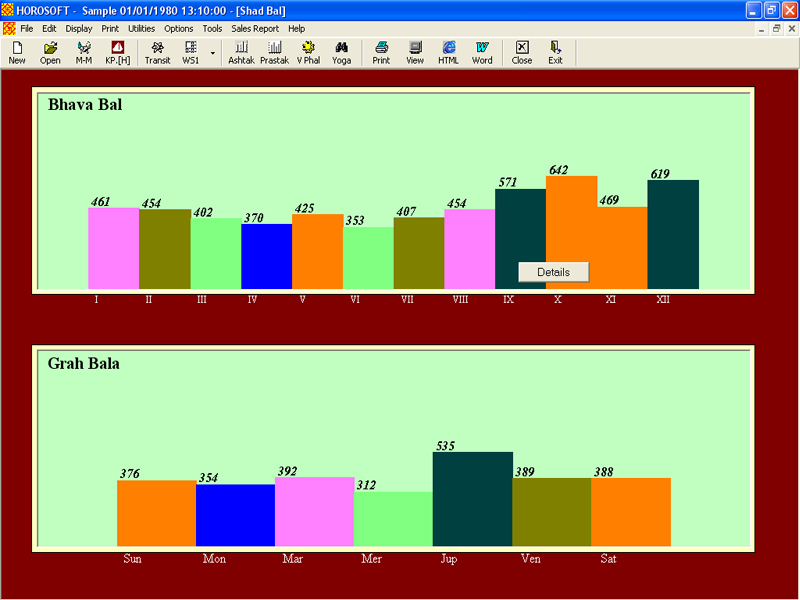 The other 2 charts are interchangeable.